Synopsis: A small-town detective searching for a missing man has only one lead: a connection with a New York prostitute. 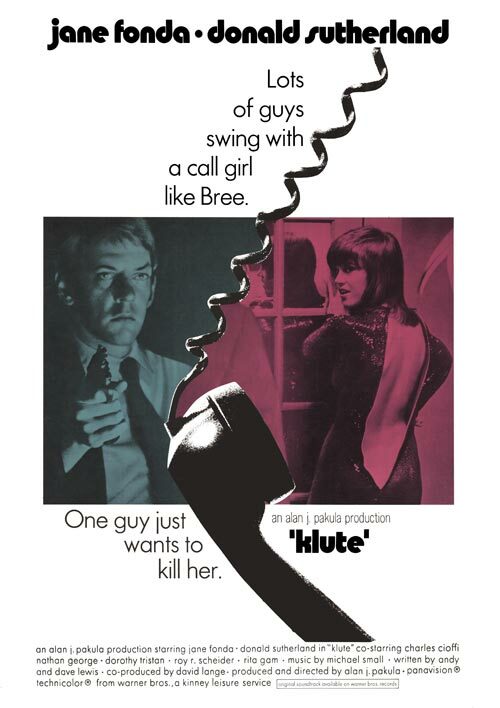 Quotables: BREE DANIEL: Tell me, Klute. Did we get you a little? Huh? Just a little bit? Us city folk? The sin, the glitter, the wickedness? Huh? Klute has the most eerie and unnerving score I’ve ever heard. It sent a chill down my spine with each note, nearly giving me heart failure from the anxiety. Undeniably marvelous, it really added to the fear factor the film created.